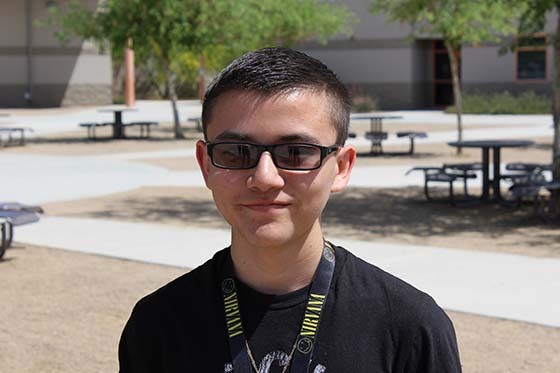 Joseph Vega enjoys math and how the different applications of math can be applied in everyday life. He loves music, especially rock and jazz. Joseph played saxophone at McCorkle and has joined marching and jazz band at UHS. He also plays guitar in his spare time. For his junior year, Joseph transferred to Tucson High Magnet School. Joseph plans to look into different colleges to find his best scholarship opportunity.